Q-90.1FM is partnering with Bay Sail to bring you passes to the Tall Ships Celebration in Downtown Bay City. You also have the opportunity to gain limited access to on-site parking and Planetarium passes thanks to the Delta College Planetarium & Learning Centers. Bay City is a host port for the TALL SHIPS CHALLENGE®, a series of races and rallies organized by TALL SHIPS AMERICA. In 2019, Bay City celebrates eighteen years of award-winning maritime festivals. Bay City has been awarded the coveted “Port of the Year” four times by TALL SHIPS AMERICA - more than any other host port in all of North America. Your passes will be mailed to you at the end of May or thereafter. Daily Admission is valid for one day of your choosing. The Passport is valid the duration of the festival. For more information call 1-877-472-7677. NOTE: Tickets for this event are non-refundable. If you are unable to attend, your tickets can be transferred to another individual. "2019 Tall Ships Celebration: Bay City - One Daily Admission & One Souvenir Passport" tickets cost $25.00, of which $9.00 is tax deductible. 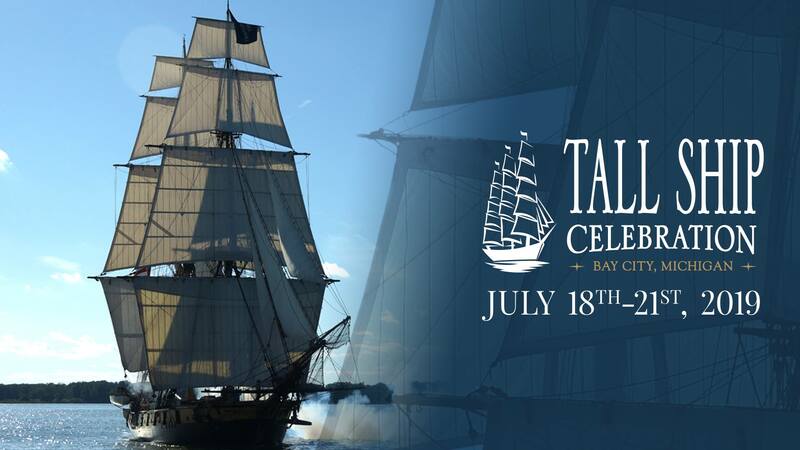 "2019 Tall Ships Celebration: Bay City - One Daily Admission & One Souvenir Passport plus Parking & Two Planetarium Passes" tickets cost $100.00, of which $55.00 is tax deductible.